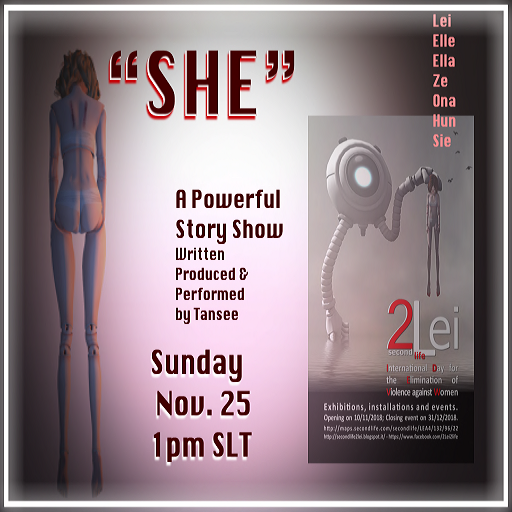 My contribution is to tell the story of "She". "She" like so many women hides behind a shameful mask of tears and sadness feeling manipulated like a puppet, helpless and abused by physical or emotional violence. We start out by startling facts about Violence against Women around the World and finally in Memoriam of all the Women who have lost their lives to Gender Based Violence. We will not forget You!